No fewer than 303 new private universities applications are currently being processed to cater for the demand of tertiary education in the country. 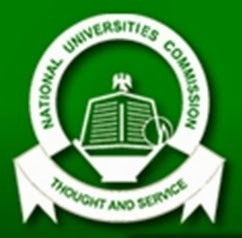 The Executive Secretary of National Universities Commission (NUC), Prof. Abubakar Rasheed, made this known at a two-day National Summit on Private Universities on Monday in Abuja. The summit had as its theme: “ Private University Education Delivery in Nigeria: Challenges and Opportunities.’’Rasheed explained that applications were received from groups of individuals, corporate organisations, foundations and faith-based organisations from all over the country. He said 41 universities, representing 51.89 per cent were owned by corporate bodies, foundations or individuals. He noted that although there were many private universities in the country, most of them were still unable to fulfil their admission quotas as they admitted barely 6 per cent of the total university admissions in the country per session. Therefore, he said that this challenge was not enough to stop the issuance of licenses, as Nigeria needed more universities to cope with the high demand for university education. Rasheed, however, said the summit was to serve as an avenue for the exchange and promotion of good practices in private university education delivery in Nigeria as well initiating a dialogue on the challenges and opportunities in the subsector. “The summit aims at supporting the Nigerian government’s effort at developing academic, institutional and executive capacities within the higher education subsector. “It will also enable it compete effectively and be relevant in an increasingly knowledge-driven world economy,” he said. Earlier, Prof Ishaq Oloyede, Registrar, Joint Admissions and Matriculation Board (JAMB), said that rather than help to solving the problems bedevilling the university system, private universities had complicated the matter.